*Rates are subject to change. Rates listed above are for Prompt Payment discount, not utilizing insurance. 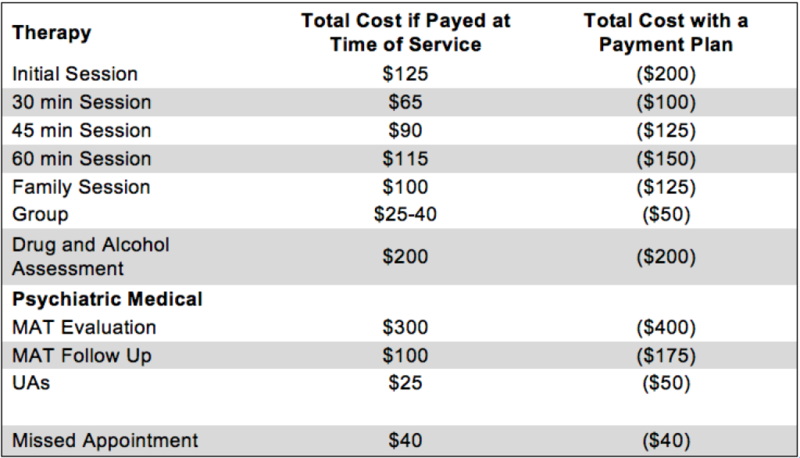 Full fees for service are listed in parentheses. Payment is expected at the time of service to qualify for the Prompt Payment discount. 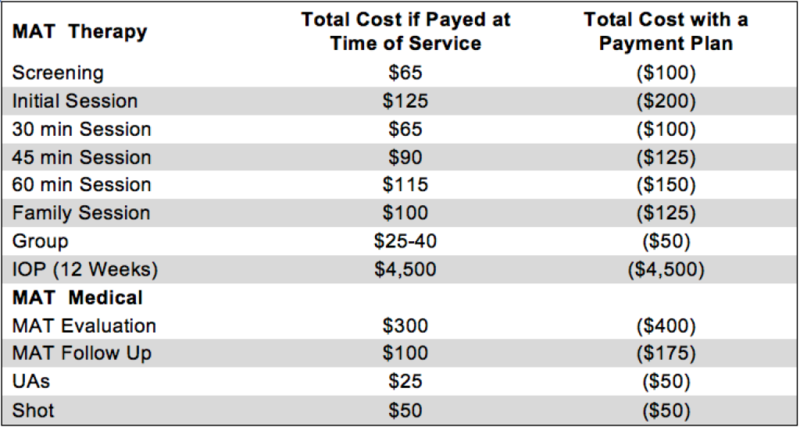 Should payments not be made on the day of service, we reserve the right to bill you the full fee for the service. For any services not listed, please contact the office. Sorry for any inconvenience this may cause, please refer back to your insurance panel for in network providers.